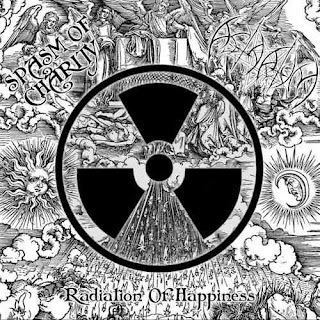 Astarium are a solo project from Russia that has had plenty of material reviewed before in this zine and on this recording teams up with Spasm Of Charity another solo project to create a recording that mixes symphonic black metal, drone, dark ambient and neo-classical together and this is a review of their 2018 collaboration album "Radiation of Happiness" which was released by Marbe Negre. Drones start off the album along with some dark soundscapes a few seconds later while also mixing in elements of neo-classical which also gives the music more of an avant garde and experimental feeling along with some grim black metal screams also being utilized at times and most of the tracks are very long and epic in length. When synths are utilized they bring in elements of black metal while the music also has its symphonic moments along with some samples also being utilized at times along with all of the tracks sounding very different from each other as well as the music also evoking a ritualistic atmosphere in some parts of the recording. 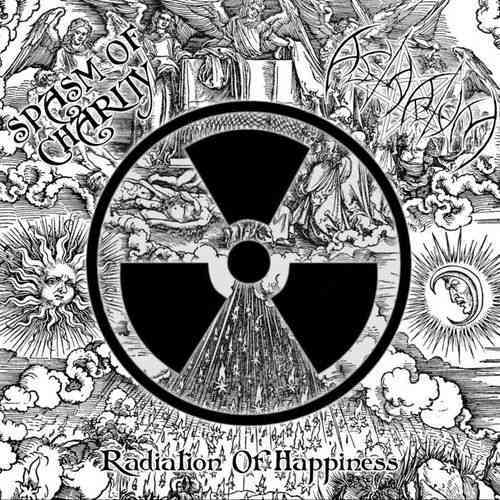 On this recording Astarium moves way from his symphonic black metal style while still incorporating that influence along with some neo classical elements and mixes it with Spasm Of Charity's dark ambient/drone style to create something very ritualistic and original sounding, the production sounds very dark while the lyrics cover darkness, death and eternity themes. In my opinion this is a very great sounding collaboration from Astarium and Spasm Of Charity and if you are a fan of black metal, neo-classical, dark ambient and drone, you should check out this album. RECOMMENDED TRACKS INCLUDE "And Grace Will Be Shed" and "Through Burning Veins Of The Creator". 8 out of 10.